August 2017 was another good month for the Cebu Teambuilding Facilitators Network. 5 training projects were handled for the month. This is the 2nd highest total for the year. 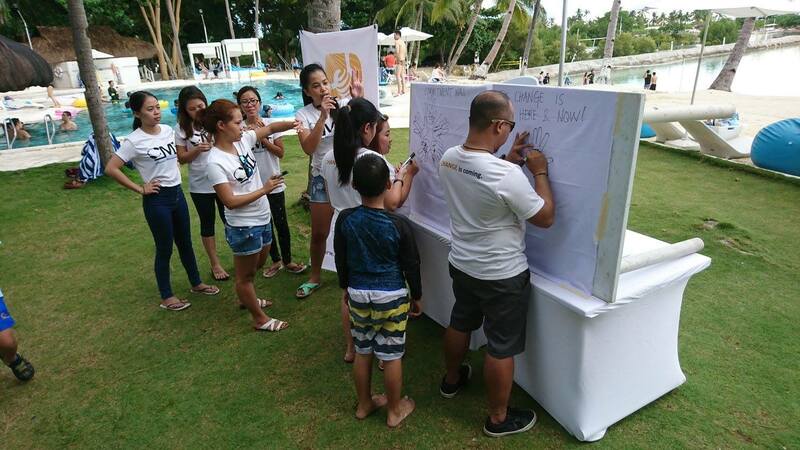 Branding experts Brandiology, tour operator Abba Tours and Pilgrimages, and team development specialists Cebu Teambuilding Facilitators Network collaborated for the team building project of Syngenta. Using the logistical resources of Abba and the uniquely Cebuano team building experience of CTFN, Syngenta went through a team building experience integrated with a city tour. Nathaniel Arong led the August 10 exercise. Ably assisting were Chia Traya, Quennie Paring, Jeres Soledad, Ricardo Enriquez Jr., and Glenda Manzo. Facilitators from Cebu Teambuilding Facilitators Network handled the change management seminar for Teradyne Business Support Center in 2014. They must have liked it. They again tapped CTFN's services for a similar program in 2017. Chris Avila, Nathaniel Arong, Andrew Kagakit, and Jeres Soledad were the facilitators for this August 12 seminar. The venue of the event was at Pacific Cebu Resort. Do you want to Be entertained? Do you want to Be relaxed? You can Be and you should Be. Located at Punta Engaño Road, Mactan, Lapu-Lapu City, Cebu, Be Resorts Mactan features a unique getaway from the city life. Be Resorts can cater all kinds of events from company team building events, romantic escapades and to solitary leisure. Enjoy a laid back, carefree and quiet experience for an affordable deal. It was a fortunate stroke of serendipity for me to visit this alluring place. My experience at Be Resorts added another color to my existence and out of my love of life and all aesthetic things it is my mission to encourage you and share with you why you should try Be Resorts for yourself. Be entertained as you experience the seaside view and swim at their outdoor pool. Their pools can cater both children and adult which is a win-win situation for those opting for a family outing. August is the month when the rainy season starts. This did not stop Cebu Teambuilding Facilitators Network from its commitment to providing quality play-based seminars to its clients. Led by dynamic affiliate Marc Julius Rizada, the CTFN team conducted a series of team building activities for employees of the Civil Aviation Authority of the Philippines (CAAP) Area VII Mactan. Ably assisting Marc were the ever young duo of tenured CTFN facilitators Kevin Sosas and Clint Fuentes. Also involved were interns Kriza Rule, Quennie Paring, and Cheska Baynas. The program was held at Be Resorts Mactan. CAAP is a state-owned company. They work under the Department of Tourism. The CAAP Area VII Mactan team is tasked in ensuring safety with anything related to aviation in Cebu’s international airport in Mactan Island.